The G7 meeting of Science and Research Ministers will be held in Venaria on September 27-28 during the G7 Innovation Week, organized by the Italian Presidency and dedicated to the global challenges triggered by the "Next Production Revolution". The global technological transition we are experiencing is deeply transforming society and due to its speed, range and complexity, will certainly have radical effects on institutions, on the individual and social life of people and on the whole economic system. In this transition, the role of the education and research system is crucial to ensure that the new technological paradigm might bring social and economic growth, create social cohesion, reduce inequalities and lead our Countries towards an inclusive and sustainable growth. 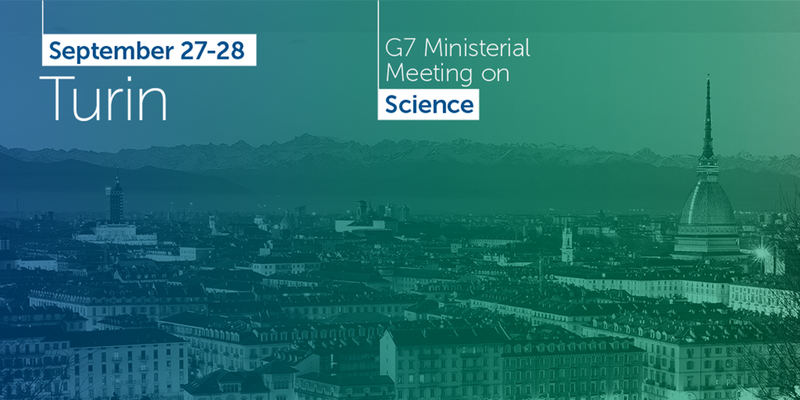 With this goal, during the G7 Science, the Ministers will address possible cooperation regarding the training of the human capital, particularly of the researchers, who should be able to leverage the opportunities of the Fourth Industrial Revolution and contribute to the generation of new knowledge. The discussion will be divided into three sessions. The first one is dedicated to the tools to ensure that the training system of the researchers, with specific regard to women and young people, include the formal and informal skills required by the new technological paradigm. The second session will address the policy and financing schemes for an inclusive and responsible research. Discussions will be focused on how to adapt existing tools and policies by stimulating demand for innovation and new technologies and by redefining public and private intervention. The central issue will be to ensure that the benefits generated by the investments contribute to the sustainable development goals (SDGs), by increasing the social impact of research policies and by emphasizing the social responsibility of research activities. The last session will be devoted to discussing how to increase synergies to create global research infrastructures, including e-infrastructures, which make results of the research activity accessible and reusable in all fields. Attracting resources and openly managing scientific data - by making them interoperable and accessible to innovation developers - are in fact the preconditions for an advanced knowledge-based and multidisciplinary economy and for the spread of skills through the whole society.